April 2 was a double header for me. 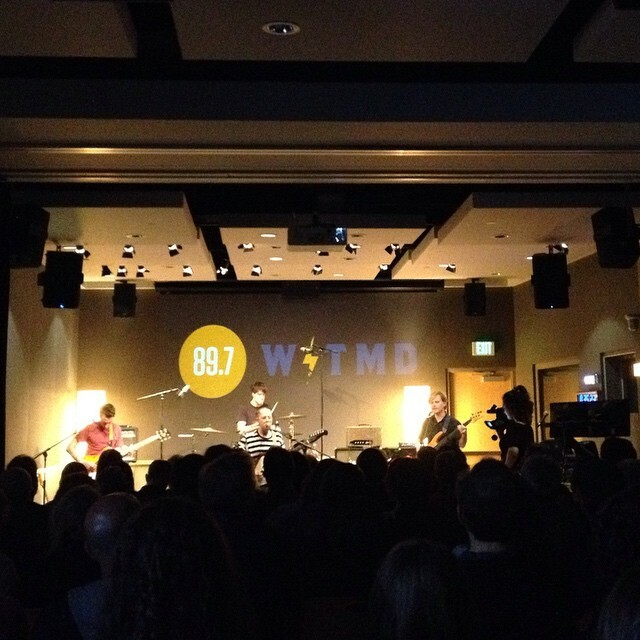 The first show was over at the WTMD studio, in Towson. They were to broadcast Lower Dens playing for an hour, and I had to go since I had never seen them, loved their new album, and had recently had to skip them due to illness (at the new AMP venue in Maryland). The show started promptly at 8pm and I was instantly glad that I went. The crowd was respectful, and they ended up playing an hour long set that including most (all?) of their excellent new wave ish new release, Escape from Evil. They ended it all with a cover of Maneater by Hall and Oates and a final older track. Video of the performance can hopefully be found soon, as it was a treat that everyone needs to experience. I hope they are able to share their art with more people in the world. I feel like they definitely could be huge.